For your chance to win 1 x Double Pass to The Holidays @ The Hi-Fi, Melbourne on July 4th, 2014 just fill in the form below. For your chance to win 1 x Double Pass to The Holidays @ Metro Theatre, Sydney on June 13th, 2014 just fill in the form below. Real Feel has received solid radio support and media attention since its release in late Feb. 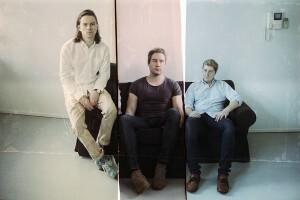 It was triple J’s feature album upon release, with singles ‘All Time High’ and’ Home’ receiving high rotation on the station. The Holidays new album Real Feel celebrates its release today. The follow up to Post Paradise and next week’s triple J feature album, Real Feel was painstakingly yet lovingly written over two years across numerous cities and continents, then recorded locally in Melbourne and Sydney. A travelogue of sorts, it echoes singer Simon Jones’ songwriting sojourns through major cities like Berlin, London, Paris and Tokyo. Fans would already be familiar with new tracks ‘Voices Drifting’, ‘All Time High’ and ‘Home’, which have helped the band firmly put themselves back on the radar via radio play and blog love, after their international adventures. In less than two weeks, the band will take to the road for a national tour that will see them travel to regional as well as metro locations. 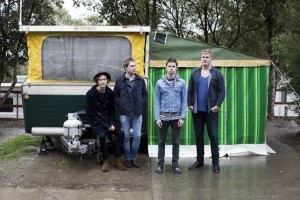 Supporting The Holidays on the tour will be Brisbane indie-pop stars, The Cairos. Tickets are available for all shows now. Real Feel is out today. 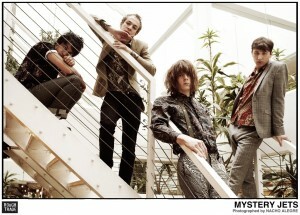 Mystery Jets have announced details of Sydney, Brisbane & Melbourne side-shows around summer Festivals. – Mystery Jets Mystery Jets will perform headline shows @ Factory Theatre, Sydney Monday 3rd Jan 2011 followed by The Hi Fi, Melbourne Wednesday 5th Jan 2011 and The Hi Fi, Brisbane Thursday 7th Jan 2011. 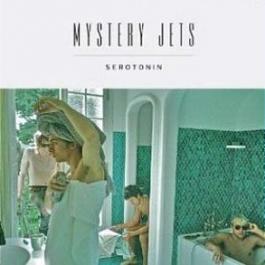 Mystery Jets last toured Australia on their second album, ‘Twenty One’, which featured radio singles ‘Young Love’ with Laura Marling and huge follow up single ‘Two Doors Down’. 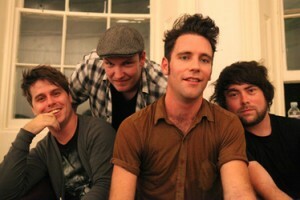 hit, Everywhere to Me, as well as showcasing their own skilful song writing capabilities. 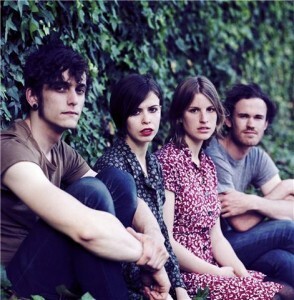 After a series of national tours, The Jezabels are pleased to announce a headline show this July at The Toff In Town. 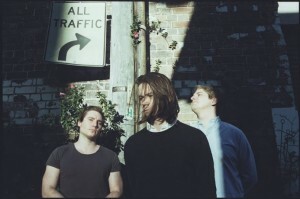 The intimate headline performance will be their first in Melbourne since releasing their second EP ‘She’s So Hard’ independently through MGM late last year. 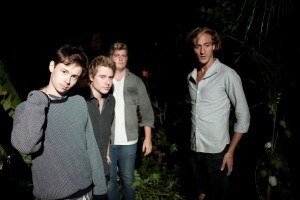 The EP spawned two singles, ‘Hurt Me’ & ‘Easy To Love’ that drew love from radio stations nationally. As announced by lead singer/guitarist Dean McGrath on triple j, Hungry Kids of Hungary will hit the road in August, embarking on, let’s call it, a pre-album release warm-up, bringing back to Aussie audiences what the world has been enjoying for the past two months. The band has toured extensively across America and the UK playing such famed venues as The Viper Room in Los Angeles, the Mercury Lounge in NYC, the Borderline in London and the Camden Barfly. Winter has arrived. In name if not entirely in earnest. Tonight, though, The Holidays are doing their utmost to defy the chill in the air, raising both temperature and spirits with a strong showing of their summery party tunes. 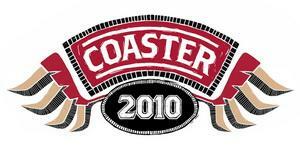 Coaster Festival returns in 2010! Some kids get a clown, others get a pony, and some even get a jumping castle in the backyard…at Coaster, they thought they might shake and spice things up a little. After much deliberation, they just felt ponies and clowns were never going to cut it, so they have enlisted the talents of some of the finest international and local musicians to celebrate their third birthday.